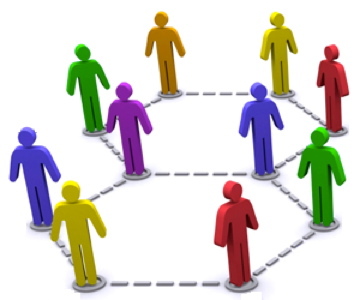 With the introduction of the Internet and social chat rooms began the concept of making fast friends. Now with social media sites such as Facebook we now have the ability to see what is happening in our Facebook friends daily lives. There was a time that common bonds and events as well as time earned the name friend but now we seem to deem everyone as our friend. I wonder why do we feel the need to befriend everyone whose path we cross? 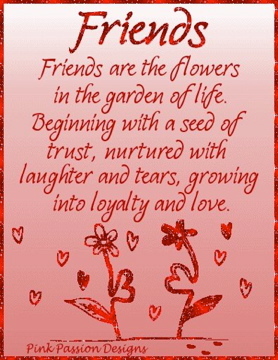 Recently, I have begun to question those in my life who call themselves friend as well as those I call friend. My observation is that some individuals are just simply associates. However, there are those who still deserve the title of friend including sister-friends and those who step up and serve the role of big brothers. In addition there are those who are more like family than family. It is easy for us to want to loop everyone into our inner-circle but it isn’t always the best thing to do. Some may think it rude to have clearly defined lines of associates such as co-workers and church members these are people who we may see regularly but don’t interact without outside of work or church. So why call them friends when you only know a high-level about their lives? Quite simply friends prove themselves to be true and present for you during trials and tribulations. I am blessed with friends from childhood, high school, college, former jobs, poetry circles, my church, my sorority, political activism and life in general but all of these people have earned the title friend. There are those who probably think what is the point of all of this associates, friends, or family talk. Well the idea is to know boundaries and understand where they start and stop. Advice given to me years ago was that everybody in our lives is not our friend. Also, knowing it is okay to not try to be everyone’s friend. Finally, we as humans should not isolate ourselves but knowing that strong foundations of friendship take time will serve us well. This is a very timely and poignant perspective on social interactions. Sometimes hard lessons are learned when you do not understand that “everyone” is not your friend.